Zenith Chambers: new tenants as it continues to expand. 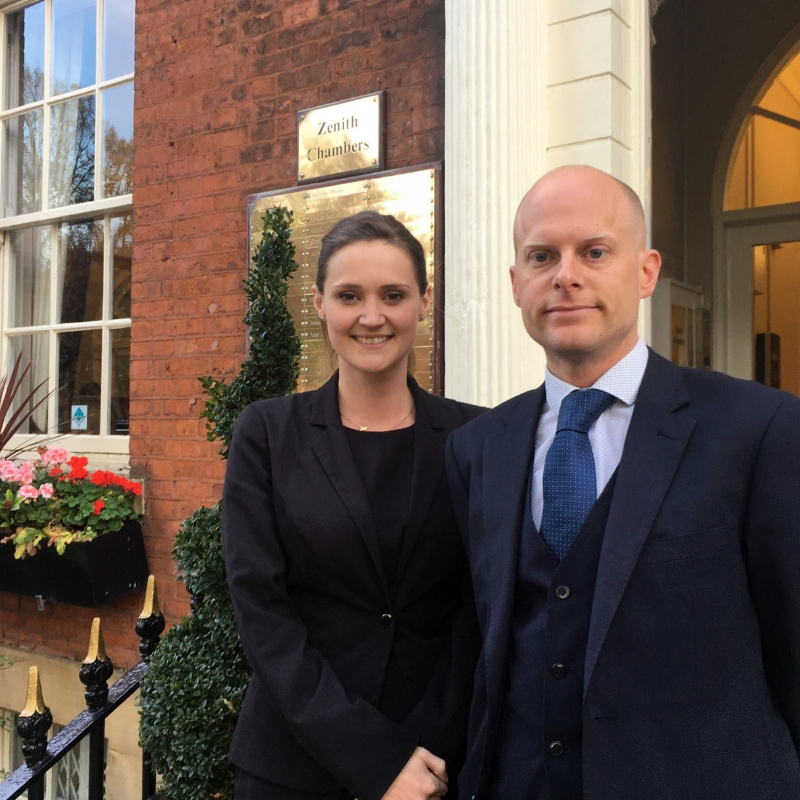 Zenith Chambers are delighted to announce that Emily Ross and Christopher Machin have accepted tenancy after successful completion of pupillage. This is a further step forward in Zenith’s investment in organic growth from within. Emily now accepts instructions in all aspects of family law, regularly representing parents, local authorities, children and grandparents in care proceedings. In private law proceedings, Emily acts on behalf of parents at various stages of the court process. Emily completed a specialist family law pupillage at Zenith under the supervision of Louise McCallum and Tony Hajimitsis following a career in the media and arts. She spent two years volunteering with the pro bono charity ‘The Personal Support Unit’ assisting litigants in person in the family courts. This provided her with a solid foundation for her career at the family bar. Chris is a common law practitioner and is building his practice across all areas of criminal, civil and family work. He originally studied history at the University of Bristol and went on to enjoy a successful twelve-year career as a history teacher and assistant-head. Chris is regularly instructed by claimants and defendants in stage 3 hearings in civil matters, including personal injury and housing, and is an ADR-ODR International accredited civil/commercial mediator. For crime, he is a CPS Level 1 prosecutor and is registered to work in the Youth Court. "The chambers as a unit is great. You get to know the clerks very well and have a great, helpful relationship with them." A "highly competent" and "hard-working" criminal practitioner who attracts praise for the strength of her advocacy.